Frontier Airlines has announced nonstop service from McCarran International Airport in Las Vegas (LAS) to Charlotte Douglas International Airport (CLT). Service starts July 10. Top Copyright Photo: Frontier Airlines (2nd) Airbus A320-251N WL N310FR (msn 7600) (Sunny, the Collared Lizard) SEA (Michael B. Ing). Image: 946075. 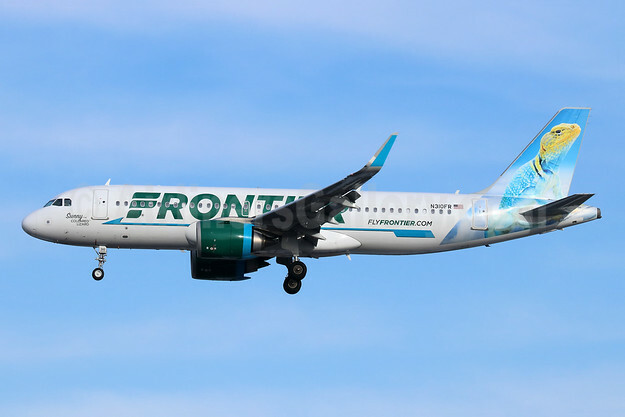 This entry was posted in Frontier Airlines (2nd) and tagged Airbus A320-251N WL, Frontier Airlines (2nd), msn 7600, N310FR, Sunny the Collared Lizard on March 27, 2019 by Bruce Drum.